PeopleSmart is a public records search that bridges the gap of the other search avenues and provides simple, direct, correct results. It’s easy-to-use interface can reconnect lost friends or help companies feel secure about people they trust. The information was straightforward and presented in a user-friendly manner. When you search, it pulls up multiple people so that I could make sure I was selecting the correct person. The site wasn’t inundated with banner ads and pop-ups. The information presented was very basic and didn’t go into much detail. To get any significant information on someone other than their basic contact required an upgrade in your account, which was confusing. Your account already has some credits (in my case, 75 credits) and a premium report cost 250 credits. To buy the outstanding 175 credits was going to cost me $35. It also gave me an option to spend $99 to get a PremiumPro membership or I could spend $119 and get 3 premium reports. It seemed to me to be excessive for my purposes and was an expensive upgrade. There were a few discrepancies on the information provided but nothing major. I stumbled across PeopleSmart completely by accident, or maybe it was a fortunate mistake. I was in charge of putting together the class reunion and had a handful of contacts I couldn’t reach. While looking for an old friend who I hadn’t spoken to in years I ended up on PeopleSmart. After searching other places unsuccessfully for a long time I was ready to give up but this was the breakthrough I needed. 3 How to Use PeopleSmart? 4 How Good is PeopleSmart Data? 5 How to Cancel PeopleSmart? 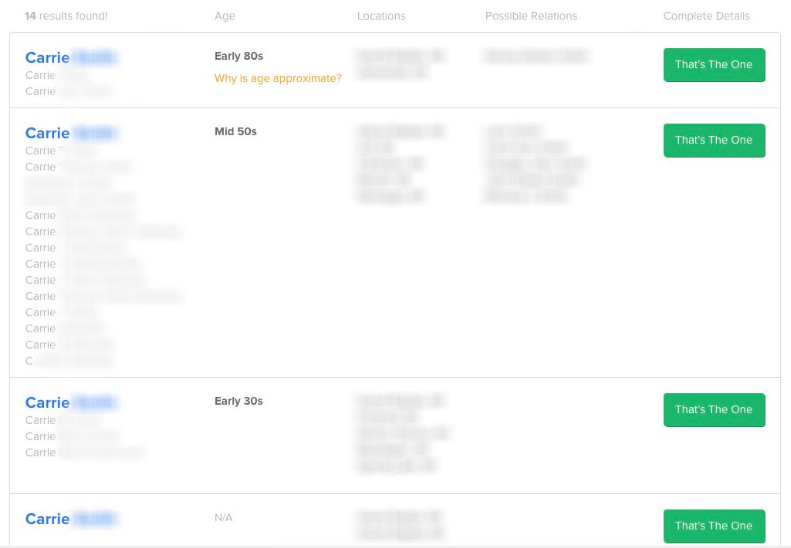 Upon digging deeper, it turns out PeopleSmart is a side-project of a company called Inflection, based in Omaha, Nebraska, which is ultimately a resource for employers to verify and background-check their potential employees. As you know, technology never stops growing and changing. In a world of increasing connection over the web, the power of inquiry has become increasingly important. This applies both to small businesses and to large, established corporations. The internet lends many tools to not only learn and grow personally but also connect and build relationships across the globe. This can be a great opportunity to branch out and grow, unleashing the ability to link up with people that are well suited to your goals. Be it close to home or abroad, it is important to know who you are connecting with and trusting. Inflection offers a host of options, including CommunitySafety and Identity.com. CommunitySafety is geared toward non-profits and schools to make sure the people they are allowing in are trustworthy and identity.com gives you quick and reliable identification and background checks to make sure you know who you are speaking with and gives you that extra buffer against fraud and unnecessary risk. Not only is the site easy to use but it is direct. It is a service you pay for, which might deter some people, but the fact that they outline exactly what you get for your money makes you realize the worth. I opted for the $19.99/month plan that gave me 10 searches by phone number, 10 by email, and even let me send emails and physical letters on my behalf through the company. Because I had more people on my list to contact, this was the best option. There are so many interesting facets to this service that I got hooked almost immediately. Unfortunately, the friend I was looking for has a rather generic name, which proved very frustrating. When other search queries amassed a blur of results, PeopleSmart allowed me to look deeper than just the name I was searching for and find the specific details that narrowed my search. Even though it returned 14 results the search provided things like estimated age, previous known cities, maiden name(s), and even relatives. Some of the entries also listed if the person had passed away and how long ago they passed. I was absolutely blown away by the accuracy and was very quickly able to find the specific person I was looking for. I wanted to check to make sure the site was legitimate so I looked online for reviews and was pleasantly surprised! When you see, “we found that PeopleSmart was very close to being 100 percent accurate” you know you’re onto something good. How Good is PeopleSmart Data? The report showed a map of where she lived but did not give a direct address. It offers you the option of upgrading your membership to reveal a direct address but by collaborating with different search avenues I was able to cross-search and find what I needed. It also provided me with her current phone number as well as her cell phone number and an alternative home number. I called the cell phone number and was successfully connected the first time! When you sign up, it offers you something called “IdentitySmart” which allows you to monitor your public records including credit accounts and email addresses which would be really helpful to potentially avoid credit card fraud and identity theft. This was an additional $14.95/month and I might do it someday but decided to skip it for now. It did, however, pique my interest. Of course, I had to look myself up; Curiosity is a powerful thing! I’m not sure if I am happy or disappointed but I did not find much about myself. It provided my name and birthday but did not have any contact information for me. It did, however, list relatives of mine which would probably get someone the information they needed to contact me if they really wanted to. There was one person I looked up that did not give any phone contact but, instead, listed that they had an address and gave me the option to send a letter via the postal system. I opted to send a postcard and found it to be surprisingly simple! It opened up a dialogue box, I typed in my text, and I pressed send. I received a phone call 3 days later from the gentleman I sent the letter to confirming his reservation for the reunion. Though it did not give me a direct address, it got the job done and didn’t cost me anything extra. For the sake of full disclosure, there were a few addresses that were not current or correct within the results but the vast majority were correct. Of course, no system is going to be perfect. The fact that it did not find any information on myself was a bit surprising because I do not go to any length to hide my contact information. My email and phone are both listed on my Facebook page and my LinkedIn. I am also a small-business owner which, I would think, would propagate my contact information throughout the internet. I had no problem finding information on the handful of other missing contacts I needed, which was nice. 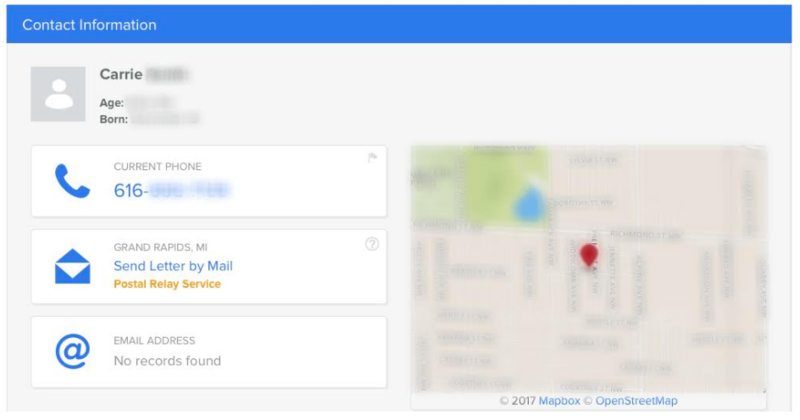 It saves you a significant amount of time and frustration because you’re not searching multiple locations for information. The nice thing about PeopleSmart is that it gives you the flexibility you need to serve your personal needs. I only needed to search a handful of people so I was able to choose the less expensive monthly charge. Had I needed more, there was an option available for $49.99 which gave me 5x the search power and 10x the ability to contact people directly. If I only had to search for 1 person, there’s an option for that, too. You have the opportunity to pay a one-time charge of $4.99 and avoid costly subscriptions and the hassle of cancellation. True, the business review ratings weren’t as high as their competitors but, for the price, it was absolutely worth it. On one review site, Intelius received a 90% accuracy rating, US Search received 85%, and PeopleSmart received 60%. It still gave me everything I needed, though. The review site stated that PeopleSmart, “offers a mostly accurate view of criminal and bankruptcy history on those we investigated. The complete reports offer more data than most, which can help you branch out your investigation if you choose”. Upon looking into other services, Intelius offered searches for $14.95/month with one background check or discounted rates if you sign up for 3 or 6 months initially. If you only wanted one report, however, it would cost you $49.95! The other service, US Search, was much less appealing in my opinion as it came across as less user-friendly and much less personal. It gave a 1 person report for $2.45 which included just the basic contact information, a criminal check for $14.95, or a background check for $39.95. If you paid for a single report and it didn’t return any information you would be out of luck and would have paid to be told nothing at all. There really wasn’t an option to search multiple people without consenting to a $1.45 charge with a hidden $19.95/month subscription, which was only discussed deeper within the expandable details. It wasn’t exactly straightforward about the charges which might undermine your trust for the company. When I was done getting all of the names and contacts for my event I decided to cancel the subscription. It was surprisingly easy! I did not have to argue with customer service or go through any lengthy steps. It asked why I was canceling, I noted my reasons, it asked me to confirm and it was done. I got to continue my month of subscription and it would automatically terminate on the date requested. 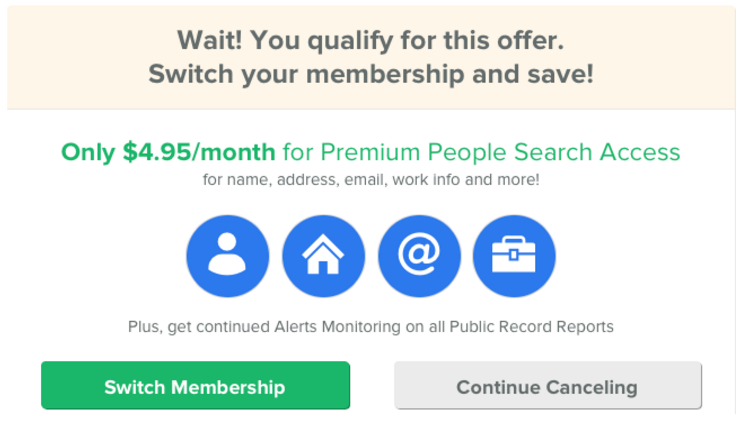 As an added bonus, it offered me a lesser subscription where I could search name, address, email and work information for a discounted rate of $4.95/month. Ultimately, I was very pleased with this service. Not only did it streamline my searching but it took only minutes to do what had taken me hours previous to subscribing for this service. I cannot even begin to tell you how valuable time is on this project and this service was a life saver! It was accurate for the most part and got the job done. It wasn’t the least expensive option but it was the most appealing and seemed to have options that were best suited to my needs. For only $14.99 I was able to find everyone I needed with very minimal hassle. I was able to send a letter when no phone contact information was given, which is not something that was offered by other services. I could see it being very valuable in many different applications. I will absolutely be back in the future.